/ Are You Feeling SAD This Winter? Are You Feeling SAD This Winter? Winter. Is it really the worst time of year? We are undoubtedly at the bleakest time of year. Short days, cold weather, strong winds and skint from paying off an end of year tax bill! During short days, we get relatively little sun exposure and we’ve known for a while that lowered exposure to sunlight can affect our mood. But there’s no need to crawl into a ball and hibernate as many people discover that they are spending more time inside. This is the time of year many people feel sad, even if they don’t normally suffer from depression. In fact, the winter blues are technically known as Seasonal Affective Disorder, or SAD for short. If you are finding it more difficult to get out of bed on these cold winter mornings, well you are not alone according to a recent survey by Accor hotels 77% of Aussies also find it hard getting out of bed in winter. Check out the Accor infographic for more interesting winter facts. However University of California researchers have found a genetic explanation for why some of us chippier early birds turn glum in the wintertime. They’ve uncovered a gene mutation linked to extreme early risers – people waking as early as 2:30am and hitting the sack before 8pm. The mutation seems to affect how people react to changing light patterns, and also how likely they are to develop seasonal depression. 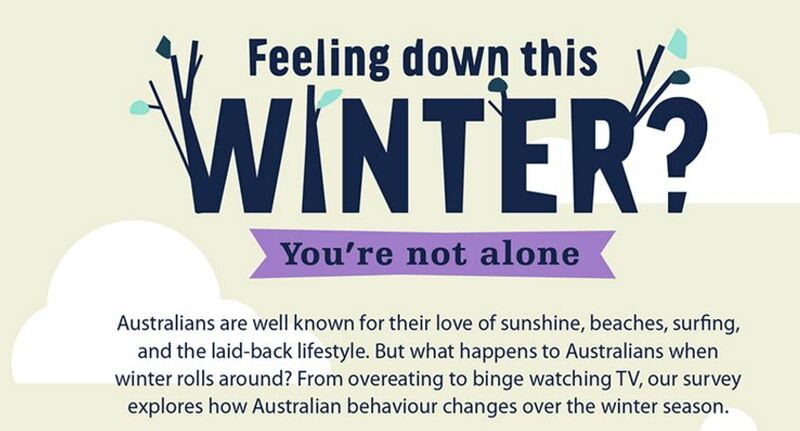 Seemingly its all to do with the circadian rhythm..
How Can You Beat the Winter Blues? In general, it is a good idea to exercise regularly, eat a healthy diet and find ways to manage your stress. While light therapy can be useful for an instant boost this involves sitting in front of a light box every morning for about thirty minutes. The box’s light mimics natural outdoor light and is much brighter than ordinary indoor lighting. Some non-drug strategies that may be useful to combat SAD include regular exercise, fish oil or my personal favourite is to take a short break away to get some winter sun. This post brought to you by Accor Hotels. Sun Safety Tips For Kids..